Where can you find a rainy-day refuge that will exhaust your kids without exhausting your wallet? Or a berry farm that keeps the little ones entertained while you pick away? How about a science outing that will spark a kid’s burgeoning interest in everything from physics to planets? These are the questions that fuel parents’ days, and the answers are as invaluable as free child care. 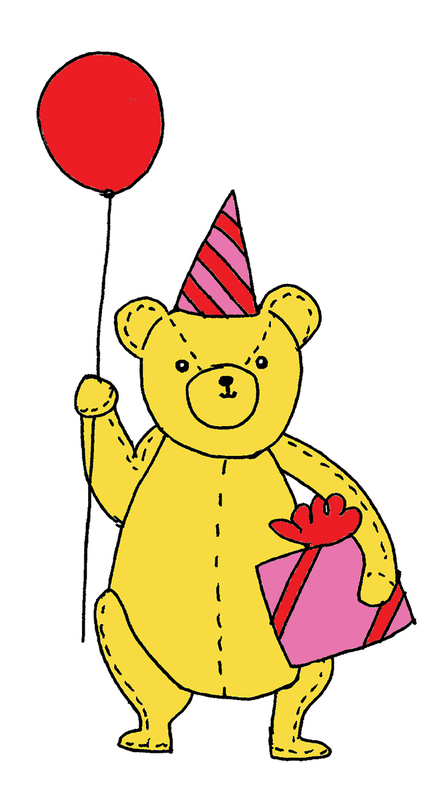 Luckily, via the Golden Teddy Awards, our readers share their collective wisdom on best local activities for families. So here you have it: The best local spots for keeping kids entertained and exploring throughout the year. 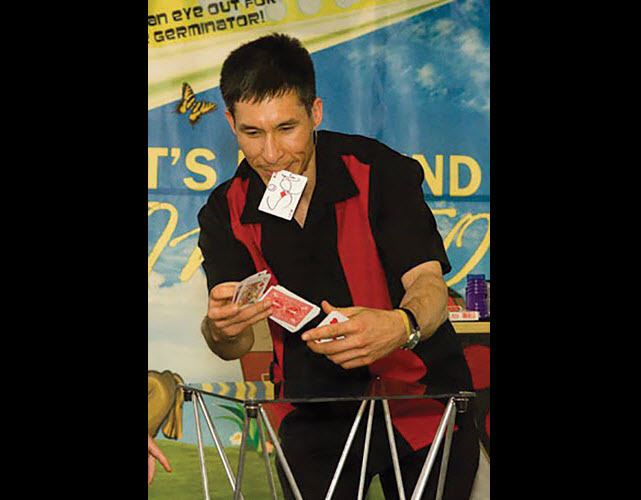 Magic shows are hilarious, educational and as enthralling for adults as they are for kids. That’s what you’re telling us about Jeff Evans, a favorite local magician who specializes in highly engaging interactive shows that he’ll customize for any audience. “Best I’ve seen in years, and I’m no spring chicken,” says one reader. “Best magician ever,” enthuses another. Xakary the Magician, who offers a guaranteed good time at his shows, has also stolen your kids’ hearts with his first-class birthday parties that inspire “magic and wonder,” says one reader. Louie Foxx and “his one-man sideshow” always shows up somewhere near the top of the entertainment category, and for good reason: “The adults had more fun than the kids if that’s possible,” says one pleased parent. Readers also cite his inspired illusions and general hilarity. It’s hard to imagine this list without our local king of kids’ pop rock, Caspar Babypants. The rock star turned kindie performer is prolific, fresh and surprising, penning catchy, smartly written pop songs that will get your kids singing and swaying. His live performances are a blast for kids and parents alike. “Sci-fi and fantasy, and Jimi Hendrix all under one roof,” raves a reader of EMP Museum, which might be the truest haven of geekery that we have. Ground zero is the “Icons of Science Fiction” exhibit, featuring artifacts such as the command chair from Star Trek and Christopher Reeve’s Superman costume. Now with two locations (Puyallup and Bellevue), WiggleWorks Kids is a spotless, moving playscape designed for kids shorter than 4 feet. Kids can swing on giant balls, chase balloons, run, hop and wiggle away. Parents praise the inviting spaces (“Warm, bright, and they are always cleaning, even as the kids play!”), the reasonable prices and the design — small enough to watch two kids, big enough to provide lots of variety. Wee wigglers get their own space. Lynnwood’s Playdate Café continues its meteoric rise in the hearts of Puget Sound–area parents. Its bright, 2,000-square-foot play space for kids ages 0–6 stars a bouncy house, custom-made play town, toys to ride on and a gated area for the littlest set. Parents can check their email and sip a Caffe Ladro latte nearby, or order up some fresh, organic food from the café (“superhealthy!”). 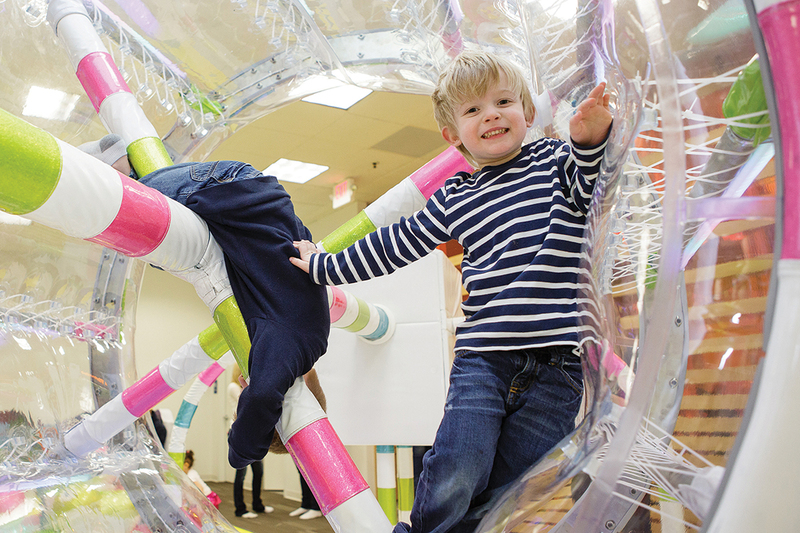 “Cozy, clean, great classes”: Just one of the reasons HappyNest Play Centers in Redmond remains a perennial Golden Teddy pick. It’s beloved for the Wi-Fi and coffee bar, and the variety of activities, from foam structures for infants to play cars for toddlers to gym equipment and dramatic play props for older kids. The only downside to a visit to Xtreme Bounce of Fun is getting the kiddos to leave, warns one reader. Located in The Outlet Collection Seattle (formerly SuperMall) in Auburn, this play area is also optimized for kids 48 inches and shorter; its swinging, bouncing, sliding structures are designed to get kids moving (can you say nap-ready?). Glitter tattoos, fanciful face painting, a fairy-tale storytelling package complete with fairy dust and lots of participation: These are just a few of the options that Tangerine Tales (run by Kelly Hughes) can offer as part of the signature birthday party entertainment that she brings to you. 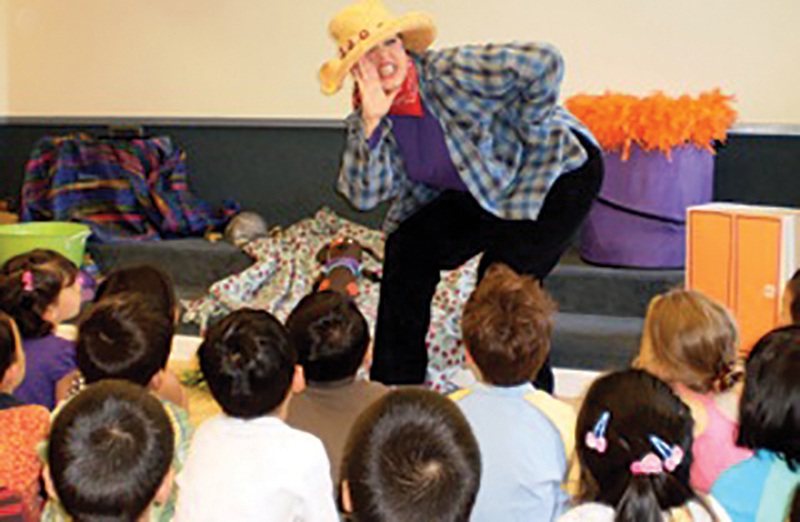 “Miss Kelly’s personalized storytelling is fantastic!” raves a parent, echoing many other pleased birthday customers. Kelly gained fame at the Ballard Farmers Market, where she regularly did face-painting at a spot in front of Clover Toys. WiggleWorks Kids is as well-liked for its fun, easy party experience as its playscapes for the under-48-inches set. The separate party room is perfect, say parents, the package a good value, and the party hosts awesome (shout-out to party host Isaiah). A birthday party staffed by enthusiastic coaches? That’s just one of the perks of a party at Great Play in Redmond, which one reader calls “the Nordstrom of party places” for its excellent customer service. Kids will run, jump, play, learn, eat and become exhausted. Playdate Café in Lynnwood is as adored for its parties as its play space. “Excellent food and beverages, great activities, party rooms are supercute.” “Flawless execution.” “Didn’t have to lift a finger.” We’re sold. 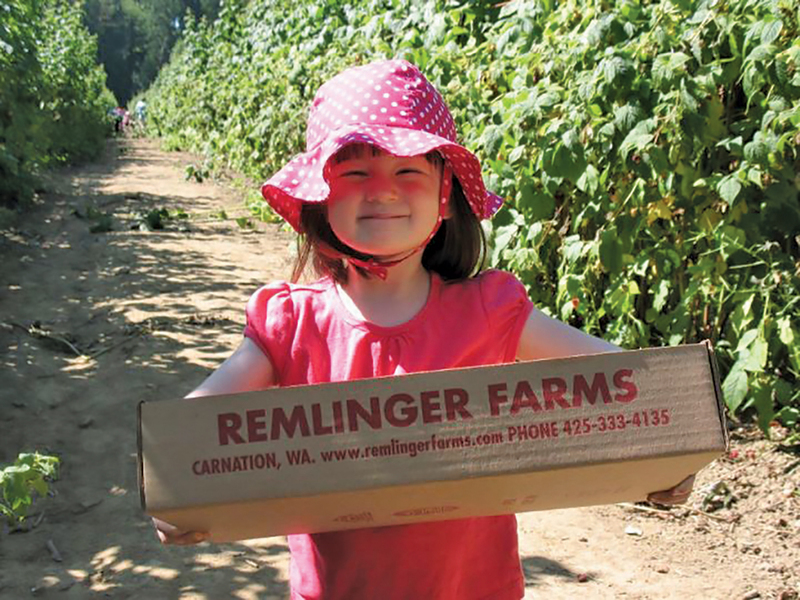 Once again, we give a berry deep bow to Remlinger Farms, the Carnation farm that is part amusement park (with miniature roller coaster, steam train, canoe river, pony rides and more), part berry patch, part petting zoo and all awesome fun. “You can’t beat the hayride! And the pies are out of this world!” raves one reader. Others praise the all-inclusive rates at the Family Fun Park, the mini rides and the easy-picking berries for little fingers. Oh, right, the berries: strawberries in June; raspberries in July; and blueberries in July and August. And, of course, pumpkins in the fall. Kelsey Creek Farm Park, the beloved city-owned Bellevue farm park, boasts lovely trails, a playground, a climbing tractor and — the heart of the farm — a bevy of animals that kids can observe up close, from sheep and goats to chickens, pigs and ponies. “Great berry picking in the city,” says one reader of Mercer Slough Blueberry Farm, and indeed that sums up its magical formula. Located just minutes from down-town Bellevue, the 1940s-era farm offers rows and rows of U-pick blueberries, grown with natural farming practices, from mid-July to September. Bonus: Pick up the rest of your produce at Bill Pace Fruit and Produce, situated at the same location. Nestled against a stunning backdrop of Squak and Tiger mountains, Fox Hollow Farm, a family farm and equestrian center in Issaquah, offers “so many fun things for kids to do, surrounded by the happiest, most affectionate farm animals I’ve ever met,” says a reader. Kids can ride ponies, pet baby animals, choo-choo on a mini train, pedal a miniature John Deere tractor, splash in Issaquah Creek and hide out in farm village playhouses. Fall attractions include a pumpkin patch. Beloved by South Sounders, Spooner Farms in the Puyallup Valley harvests and sells eight kinds of berries in the summer, and lets you harvest 47 varieties of pumpkins, as well as gourds and squash, in the fall. Don’t miss the duck races and pumpkin slingshot. This 534-acre gem of the Seattle’s parks system wins again! And why not? 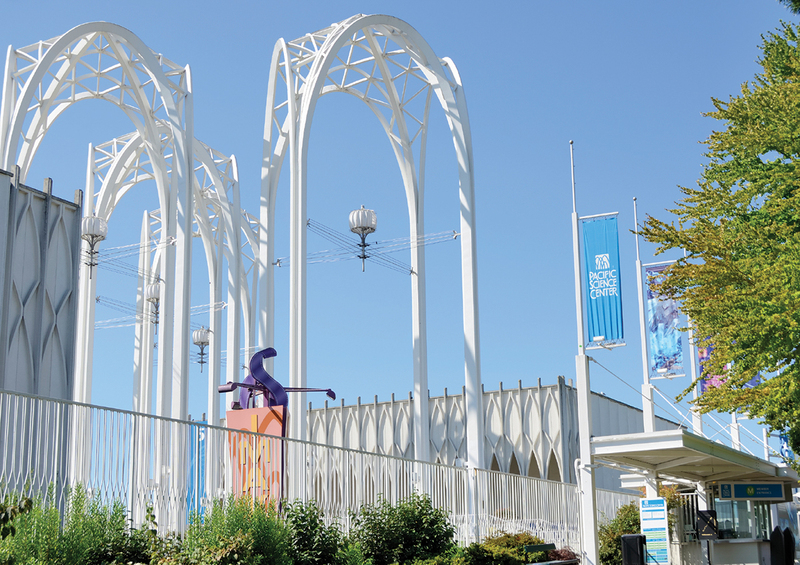 This park in Seattle’s Magnolia neighborhood has literally everything: Stroller-friendly loop trails, forested hiking trails, beachfront, a lighthouse and an environmental educational center with engaging programs year-round. "Feels like an out-of-the-city retreat while still being close to home," says one reader. Other adored urban nature gems include Carkeek Park ― that versatile North Seattle park ("It has everything — beachfront, forest, wetland, and a salmon-spawining creek in the autumn! "); Mercer Slough Nature Park, a freshwater wetlands park minutes from Bellevue ("it is absolutely gorgeous, great for the whole family, and a sweet little nature escape"); and the fantastic, free Bellevue Botanical Garden, (don't miss the Asian-themed Yao Garden, or the Ravine Experience, a 150-foot suspension bridge). 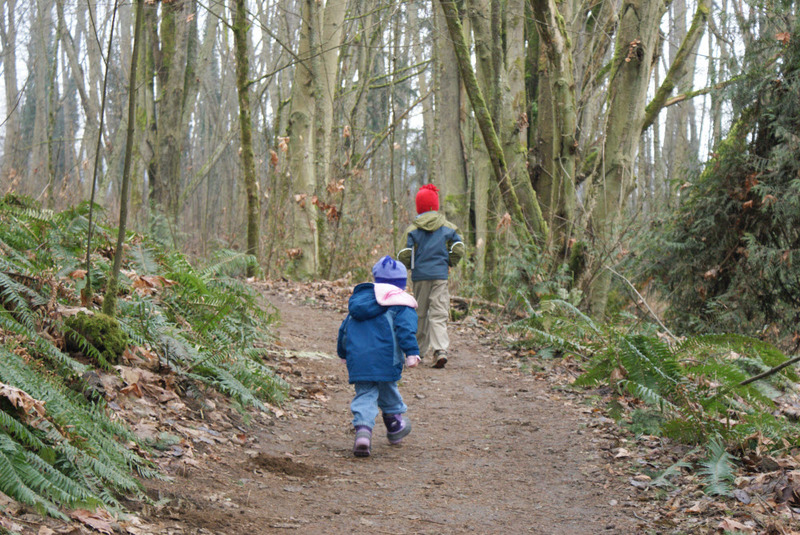 Readers also loved Saint Edward State Park, a 360-acre park in Kenmore along Lake Washington ("Awesome lakeside hiking that's close to home + a fabulous playground"); Rattlesnake Lake Recreation Area in North Bend, for its hiking and unstructured play opps ("Kids can throw rocks in the water, climb trees, take their raft out, etc. "); and, of course, our beloved Woodland Park Zoo, Seattle's award-winning zoo that's home to more than 1,000 animals and 300 species, including (this summer) two cheetahs, the fastest land mammals on the planet. Splash! 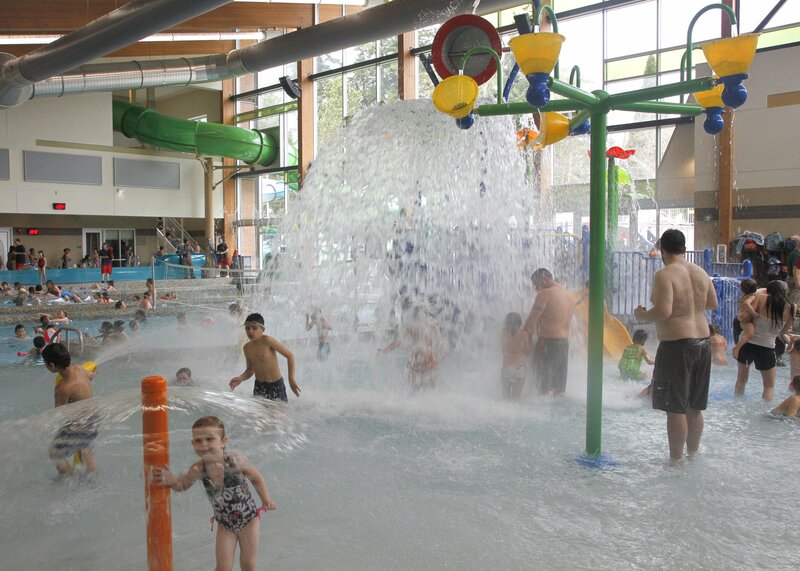 Once again families can't get enough of the Lynnwood Recreation Center & Pool. Kids love its water slides, lazy river, water playground (yo, water guns!) and warm-water therapy pool. Grown-ups love the family hot tub (can you say cheap spa? ), sauna, lap pool and family changing room. It's hard to beat an afternoon at the orca-themed spray park at Crossroads in Bellevue (“The spouting whales here offer hours of fun in the summer. Best of all, it's free!”) or the recreation paradise that is Seattle’s Green Lake Park (“swimming, paddling, canoeing, everything!”). Other finalists include Wild Waves Theme Park in Federal Way, with water attractions to keep kids of all ages and abilities screaming happy; the Mountlake Terrace Recreation Pavilion, famous region-wide for its warm pools and toddler-friendly lazy river and water slides; Stroum Jewish Community Center pool on Mercer Island (“Great instructors!” “Nice shallow end with toys, slide, and plenty of room for active kids”); and Samena Swim & Recreation Club in Bellevue, beloved for its kiddie pool, among many other features.